There is a hotel in London that towers above all the others. A hotel that can only be described as "outstanding", architecturally magnificent, and a landmark in a city of landmarks. Staying at this hotel makes others jealous. If you have to accommodate an important visitor and want to impress, this is the place for you. And its room rates are no more than lesser 5-star competitors. This time of the year, there are some attractive bed and breakfast offers. It is worth the experience. Your editor-in-chief was a guest. 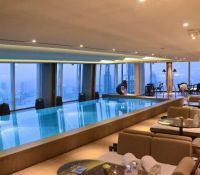 The Shangri-La Hotel at The Shard London occupies floors 34 to 52 of Britain’s tallest building (and the fourth highest structure in Europe). 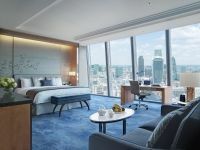 It offers 170 deluxe guestrooms plus 25 suites, including two speciality offerings and a presidential suite with glass-enclosed "wintergarden" balconies. Let us start with the views. They are fantastic. Open your electrically-controlled curtains in your stateroom and if you are on the River Thames side, HMS Belfast is virtually beneath the structure as is the City Hall that approved the building, Tower Bridge and the Tower of London itself. The list is endless from west to east. The Houses of Parliament and Big Ben, the London Eye, the Millennium Bridge, St Paul’s Cathedral, Tower 42, the Gherkin and, in the distance, Canary Wharf. To the south there is very little to see but you do have a bird’s eye view of the rapidly-being-rebuilt London Bridge Station and its many train tracks. Gatwick Airport is just 25 minutes away. 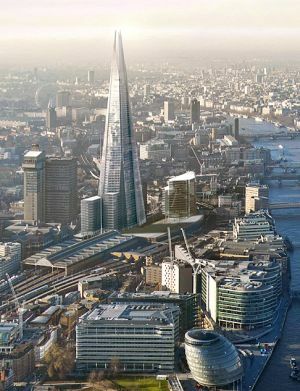 The Shard's construction began in March 2009; topped out on 30 March 2012 and officially completed on 6 July 2012. The View from The Shard is on the 72nd floor. You can arrive by limousine at the Shangri-La, by taxi, or from London Bridge Station, which offers Underground, Thameslink, Southern and Southeastern services. There is also a "Boris bike" rack outside. The entrance is far from a grand hotel, rather low key in fact, but the commissionaires are on hand to take your luggage, pass on your essential information to the ground-floor reception and then whisk you up to level 35 where a more formal welcome is an option. Or go straight to your room. Also on the ground floor is a delightful coffee shop/patisserie called Lang (all the eating places have Chinese names), ideal if you want to meet someone. Visitors should also know that the Shard is sited in one of the most up-and-coming parts of social London, the Riverside Walk within a couple of minutes’ walk, and also the rejuvenated Borough Market, a fashionable place to buy food, take in a lunchtime snack, or dine in the evening in what is now a very trendy area. Our room was on floor 43 with stunning views. There is a queen-sized bed, large TV (and also set in the main bathroom mirror) and tea/coffee facilities. The neat nightlights create low lighting, adding to the overall luxury feeling. There is a heated toilet seat and a bath and separate shower. Wi-fi is complimentary, as is a shoe-cleaning service. GŎNG, on level 52, derives its name from 'dougong' – a unique structural element of interlocking wooden brackets, used in traditional Chinese architecture and also featured in the bar. It serves (bookable) afternoon tea and is a very popular cocktail bar in the evening. 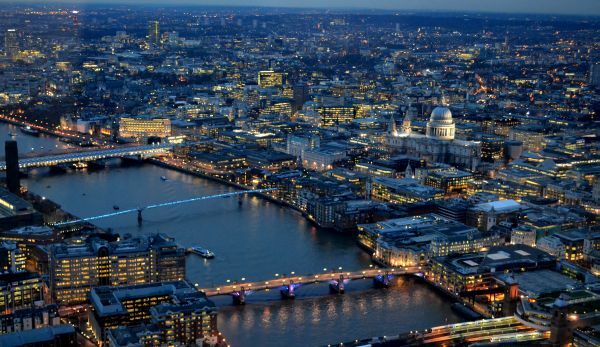 (If that is not high enough for you, the View from the Shard is available 20 floors up – and we have some prizes on offer in the Christmas Quiz). On the same floor is a well-equipped gym and the Infinity ‘Skypool’, well named and warm. No picture is available but your editor-in-chief did partake. One cannot resist a chance to swim and look down on London at the same time. There are special children’s hours too. Breakfast was at TING on the 35 main reception floor. A good hearty selection was on hand in what might be termed traditional style for a five-star hotel. No cooking station. Everything comes from the open kitchen, but the menu does not offer kippers. Surely the Hong Kong bosses know of the famous Scottish herrings. It was the men from the north that invented the place! In any event, TING also serves lunch and is the hotel fine-dining venue, offering a modern European menu with subtle Asian influences at night. The Evening Standard is a MUST (the paper says the same of BTN), so your-editor-in chief excused himself to visit the ground floor for a copy. Overhearing, the TING receptionist said she would deal with that. Five minutes later, London’s newspaper arrived. That’s a fine hotel for you!